The International Conference on Management Engineering, Software Engineering and Service Sciences (ICMSS) is an annual academic event held in Wuhan once a year. ICMSS 2020 will be held during Jan 17-19, 2020 in Wuhan, China. 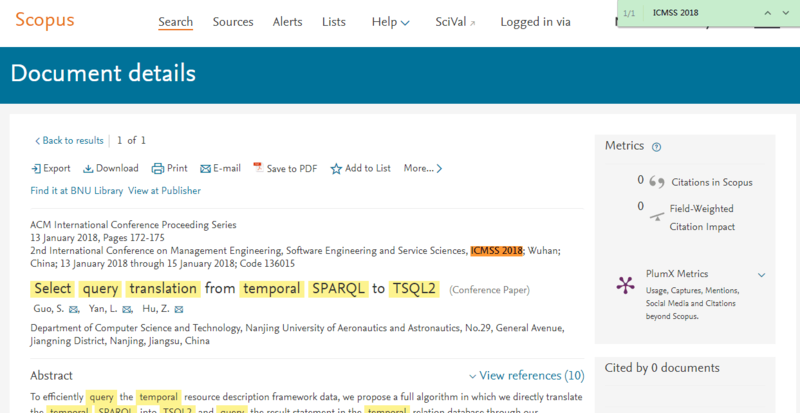 It is supported by School of Computing, China University of Geoscience, China, Wuhan University, China, Feng Chia University, Taiwan, Asia Society of Researchers, etc. The aim of this conference is to provide a forum for the presentation and discussion of emerging Management Engineering, Software Engineering and Service Sciences and for professional interactions. Additionally, it serves as a conduit for channeling advanced technology to the regional industry. On behalf of the conference’s various committees, it is our pleasure and honour to invite and welcome you to attend ICMSS 2020 in Wuhan, China. In addition to the high technical standard expected of this conference, we aim to give all participants a real taste of the true Chinese culture in the beautiful Wuhan. The dedicated conference teams are currently working hard on making this conference not only intellectually stimulating but also an unforgettable pleasant experience. We look forward to welcome you in ICMSS 2020 and wish you a fruitful and enjoyable stay in Wuhan. ICMSS 2020 conference proceedings will be published in the conference proceedings, and submitted for Ei Compendex and Scopus Index, like the past 3 years. Jan. 15, 2019. Good News! Dec. 7, 2018. Good News! Nov. 22, 2018. Good News! Oct. 30, 2018. Good News! September 28, 2018. Good News! July 11, 2018. Good News! 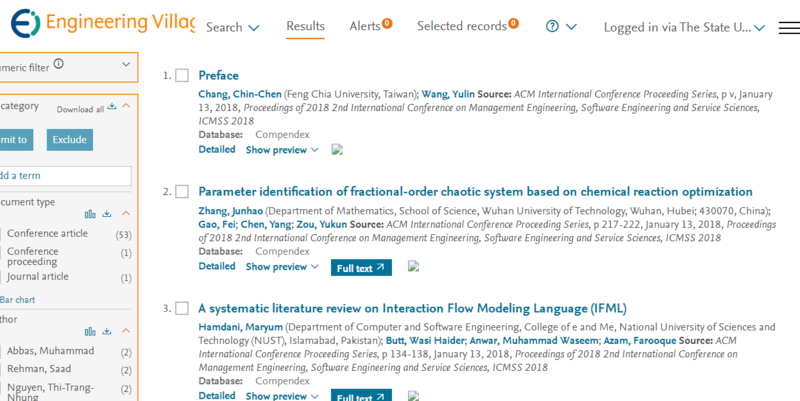 ICMSS 2018 Conference Proceedings has been indexed by Scopus index. June 20, 2018. Good News! ICMSS 2018 Conference Proceedings has been indexed by Ei Compendex within 6 months after the conference. April 11, 2018. Good News! 13 June, 2017. Good News! 23 March, 2017. Good News!